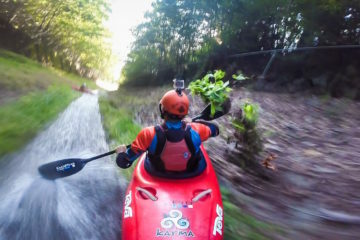 If you’ve ever wondered what kayakers do in the off-season to keep busy, here’s your answer. To be fair, this is a bit out of the ordinary. Most kayakers just gear up and brave the cold weather conditions or hang tight until the warm weather arrives. 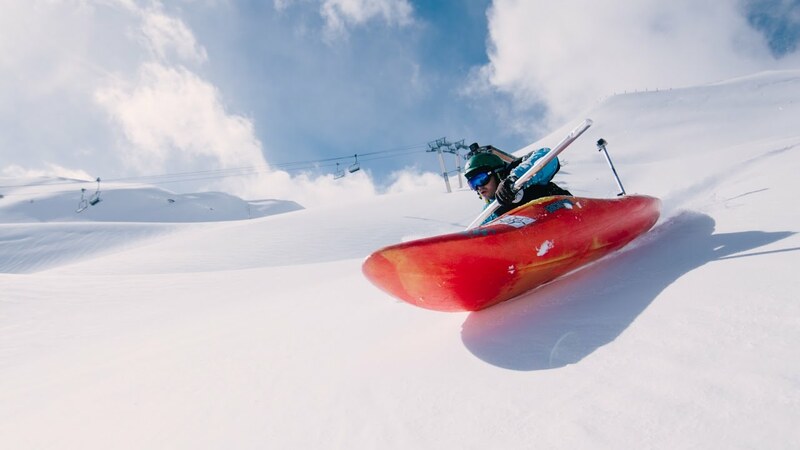 Rather than waiting out the weather, Mikel Sarasola decided to try a bit of snow kayaking in the Pyrenees mountain range in southwest Europe. 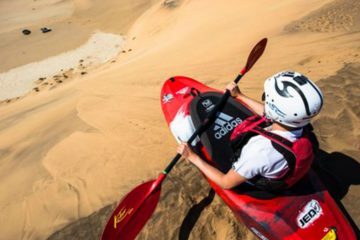 The kayak flies downhill and hits a top speed of 45 miles per hour (72km/h) on the way down. Mike even hits a few jumps for good measure.